What a way to start the year! 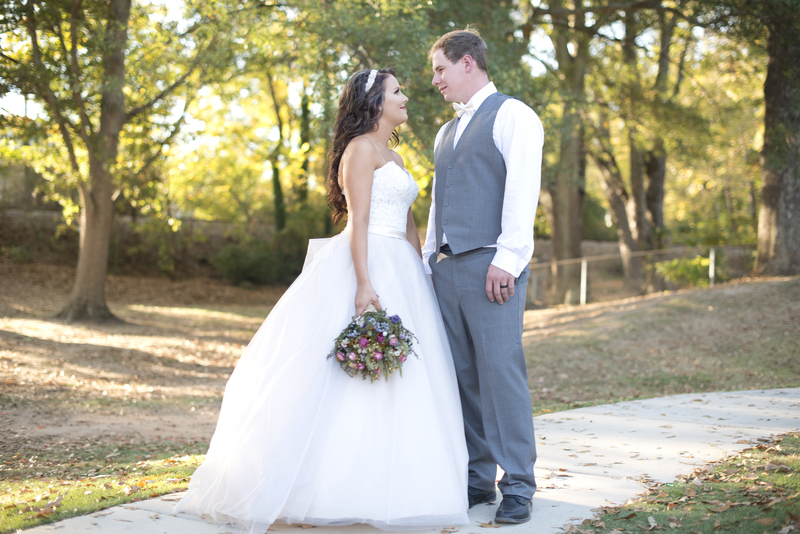 Our biggest blessing of the year was hosting the wedding of Ivy Cadenhead and John Ferguson. They stopped in on a whim looking for a rehearsal dinner spot, sure that they had already found their wedding venue. One look and Ivy was in love! Fast forward a few months later and Ivy had become The Corner District’s best kept secret. 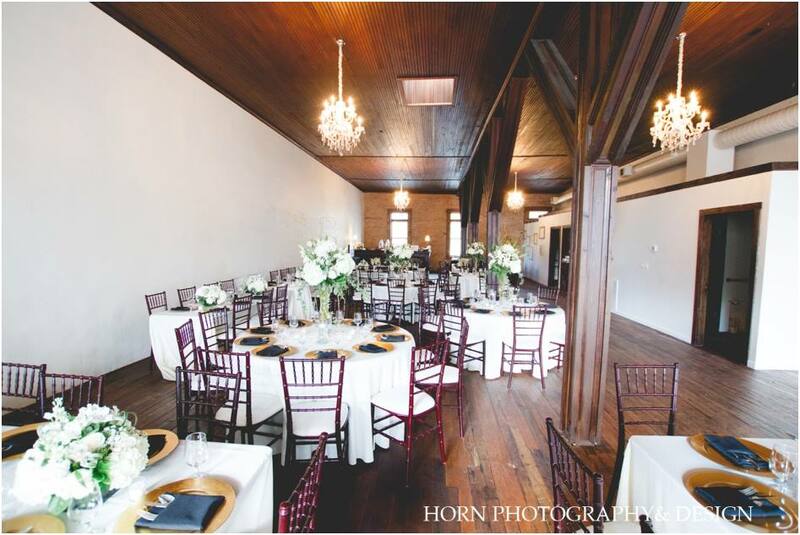 As our venue manager and wedding planner, Ivy Marie Weddings, LLC was created. 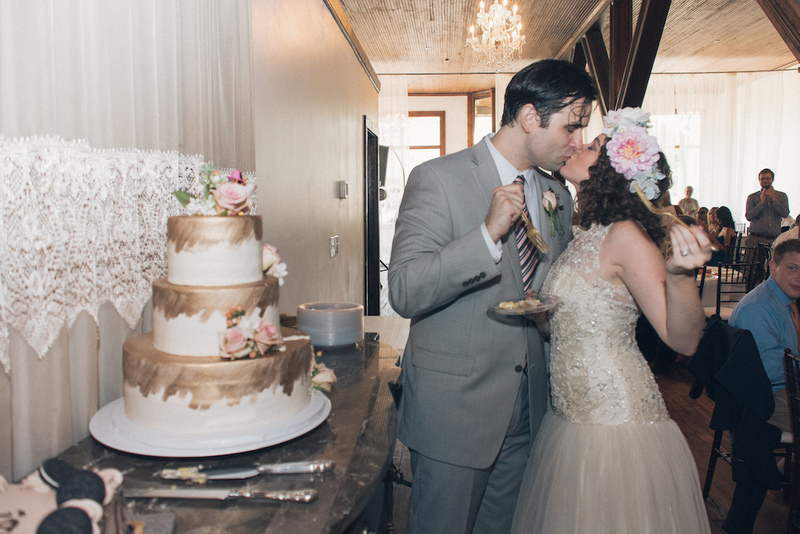 I’m so happy we had our wedding photographer Hudson Valley to help us with all the important aspects of our big day. 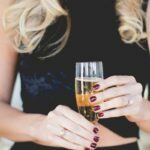 There is so much to consider when it comes to planning a wedding, so I don’t think we could have done it as well without her help. When it came to our part in terms of buying the rings, a site like https://manlybands.com/products/the-baron was great, as it helped me choose a wedding band for my partner. This was something I had always wanted to give him, so I was so happy when I was able to do just that! The natural creativity that we saw in her own chic winter wedding is evident in all the events she is a part of. We’re sharing more most memorable wedding moments of 2016 below! We love to host highly styled events and this travel themed couple’s shower for Brittney and Keaton was one for the books. Their wedding was planned for the fall in Italy and what could be better but to bring a bit of Italy to them as a proper sendoff before their big day. Amazing rentals, custom linen, antique Italian postcard invites and check out the Perseco fountain! Authentic Italian cuisine and pastries topped off this one of a kind bridal shower! We hosted some pretty awesome events this year but our springtime brides had some big ideas and it was fun helping them plan. 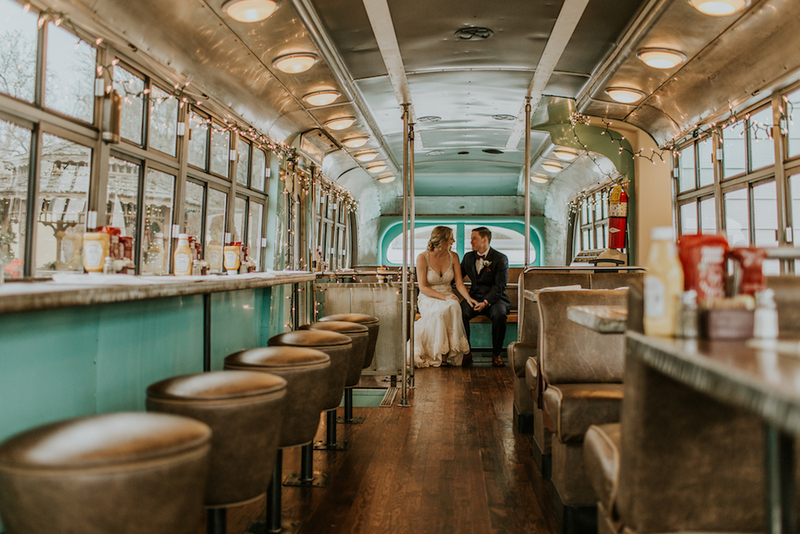 Jessica had booked a year in advance and had lots of time to plan, while Lauren came to us after already having booked another venue, but they both fell in love with The Corner District and had a vision! 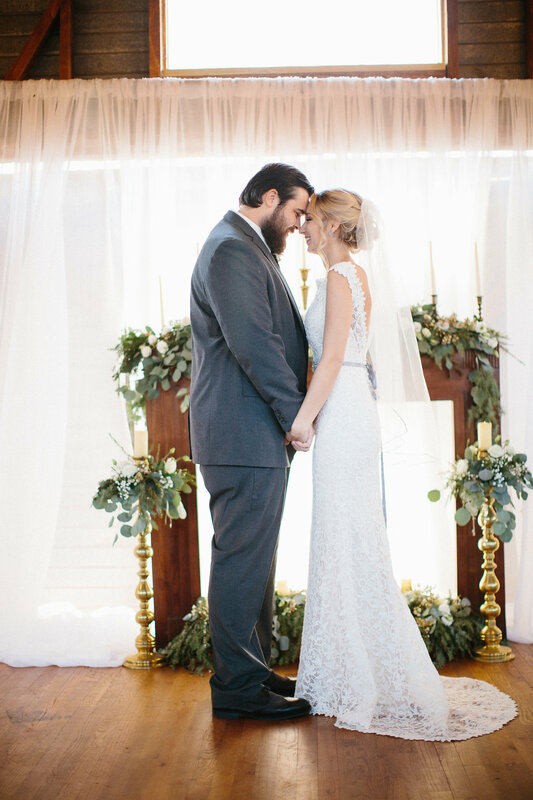 Draping, vintage china and the special touches that make each wedding unique were fun additions to their big day! So what do you do if you and all your guests are theatre folks with performances every weekend? You get married on Monday, of course, and that is just what Galen and Jacob did. 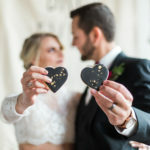 The creativity from this group was contagious and their quirky personal touches made for an adorable and unforgettable wedding. 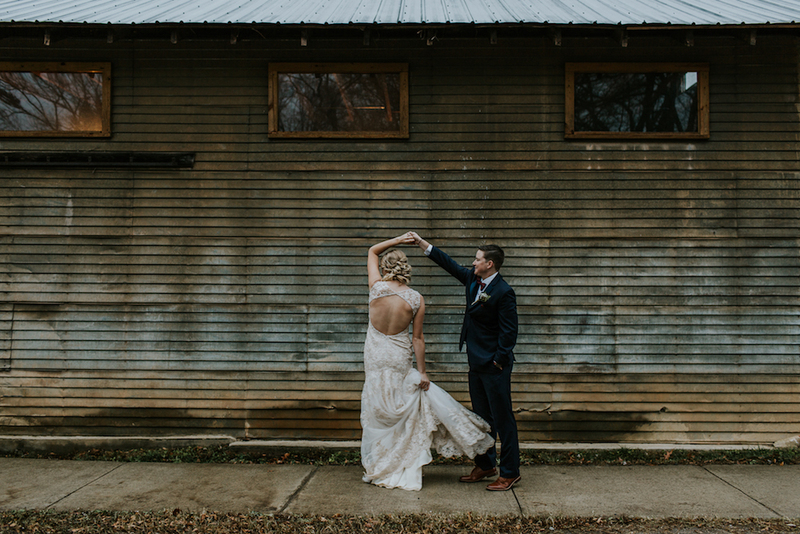 If FUN was a wedding theme and vision then this couple nailed it. 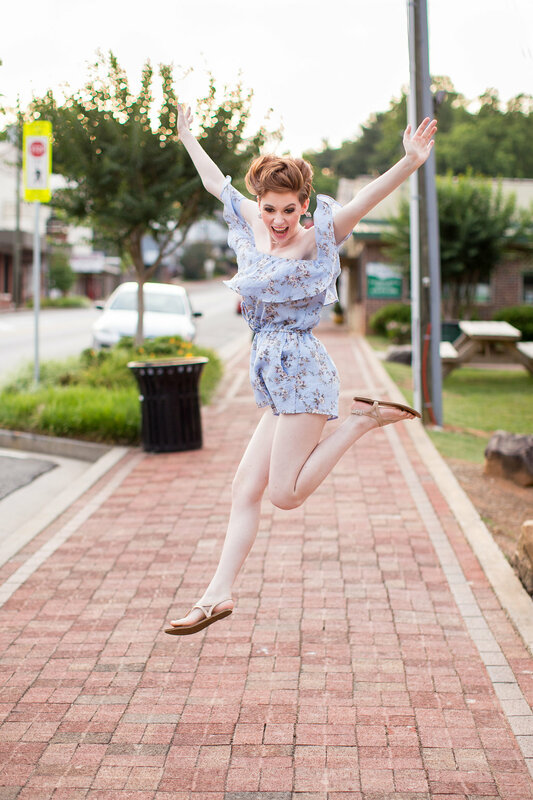 The bride searched for wedding dresses in los angeles ca and clearly found the perfect one. She looks stunning!! Bethany thought of everything when she planned her late summer wedding. We loved her decor pieces so much that we purchased some of it from her. From her handcrafted wedding ring “box” that was actually a vintage book, to her handmade flowers in the bouquets and centerpieces the details were stunning. Her DIY was a labor of love and it showed. October… Need We Say More! 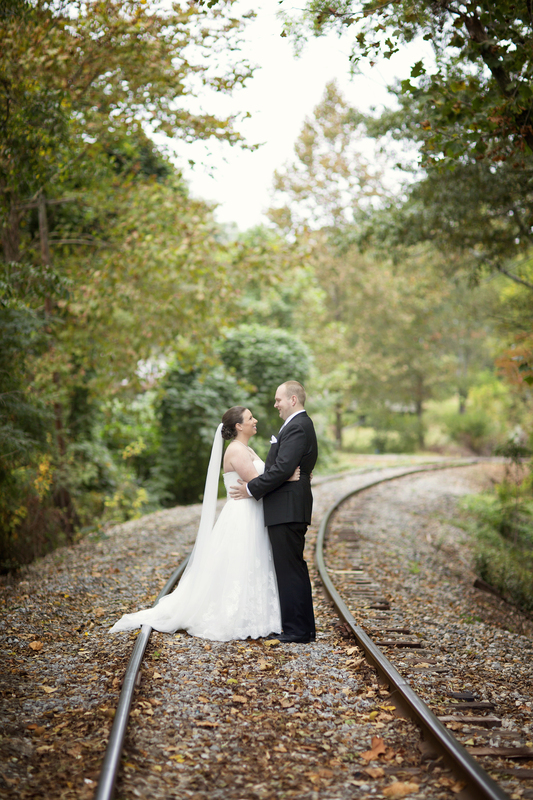 October is peak wedding season for us and our weddings that month were over the top! We had some of the most memorable decor, dresses and customs. Iche and JuRiel incorporated their native Nigerian heritage into their wedding by bringing in food, music and clothing to take this wedding over the top. Bethany and her parents were on a mission and it included lots of twinkle lights, ladders and dexterity by her dad! 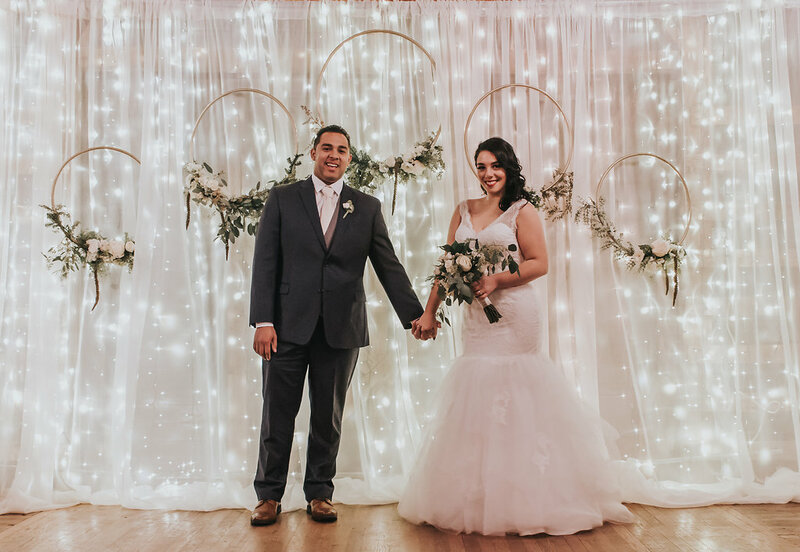 Hanging a custom made twinkle light curtain for her reception and intricately placed cascading ceremony votives strung from the warehouse ceiling were just a few of the elements that gave her loving father high anxiety, but it was certainly worth it! Our brides have great taste and all of them looked stunning in their wedding dresses but Logan’s multi-hued gown was pretty spectacular. There wasn’t a need for accessorizing with a veil or statement jewelry. The dress was certainly a show stopper! Our December weddings were like Christmas! Such over the top decor transformed the venue like never before. 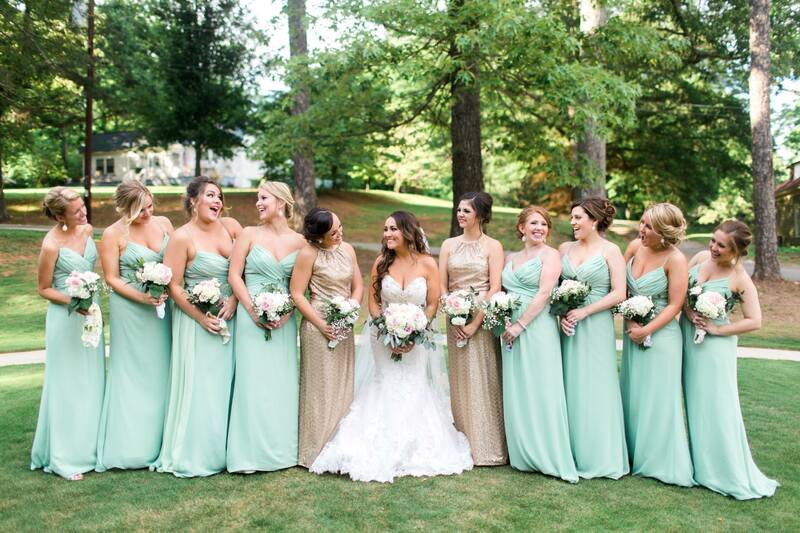 Claudette was a dream and so was her wedding. 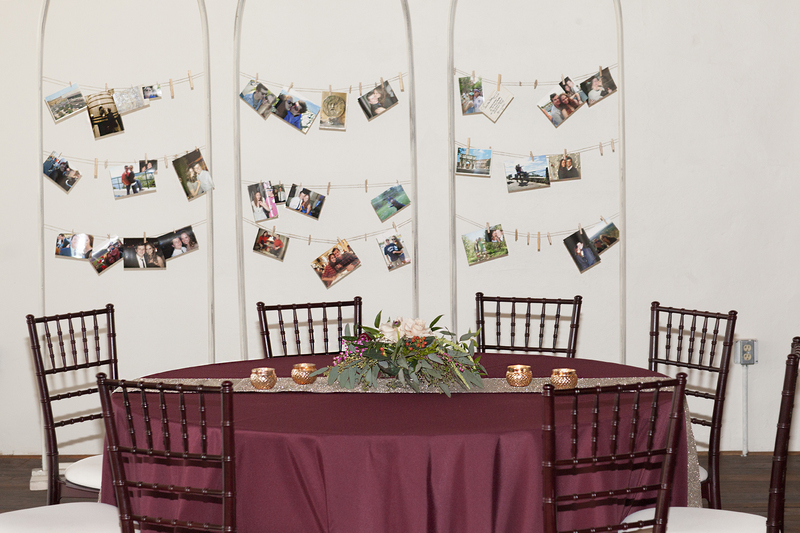 We were able to create some of the most memorable pieces of decor to date. Cue the staple gun, fishing line, glue gun and bushels of scavenged fir and pine branches! I think it’s safe to say we were on lockdown for days before this wedding with so much to do but loving every minute of it. Michele’s wedding the week before Christmas get’s the prize for most incredible decor build out of the year. Yet another DIY wedding that we had the pleasure of watching come together. It took a village to set this one up, but luckily they brought one! Their hand constructed backdrop for the photo booth was as gorgeous as it was big!! As if that wasn’t enough they also built an arbor for the ceremony. Lots of details for another personalized wedding and reception. 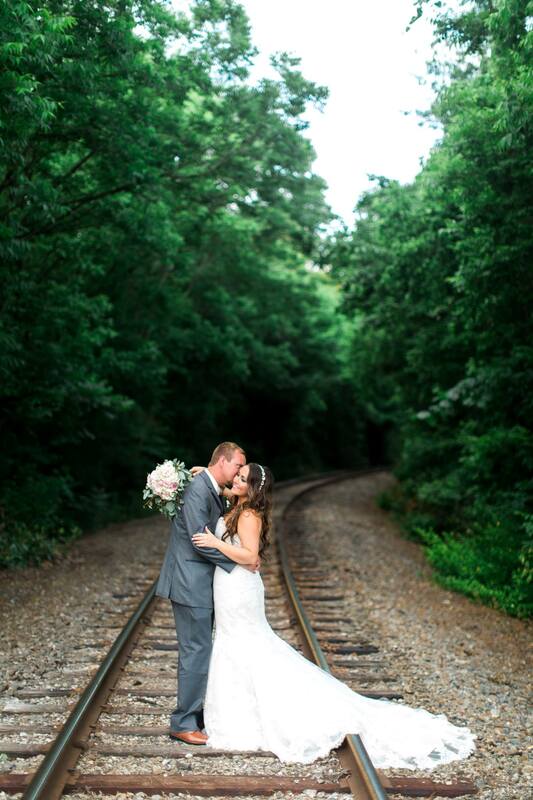 We love being able to let our couples bring their vision to life at The Corner District. We love our small town and all the support they give us. Please enjoy a few of these photos of our weddings and events taken around town. We have had the honor to host several Pop Up Weddings this year. Small, intimate wedding and reception packages that we can customize and facilitate at our venue or take them on the road. Sometimes a large wedding just isn’t a good fit, but you may still want all the components found in a traditional wedding and reception. These couples were able to have all that and more, just on a smaller scale. To the left is Debbie Ley, owner of The Corner District. 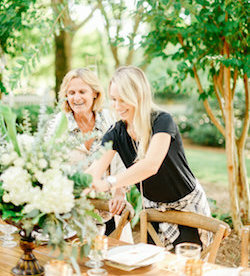 On the right is Ivy Ferguson, venue manager, wedding coordinator and blooming florist! 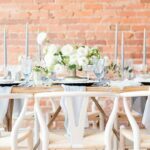 An eclectic Atlanta area wedding and event venue with a speakeasy ambiance, made unique with the combination of an up-cycled elegant warehouse and a city park. 310 Gilmer Ferry Rd, Ball Ground, GA 30107. Street parking only. Please don't park in other business's lots. Phone: 770-862-3537.